Aadhaar is a 12 digit individual identification number issued by the UIDAI on behalf of the Government of India. This will serve as a proof of identity and address in India. 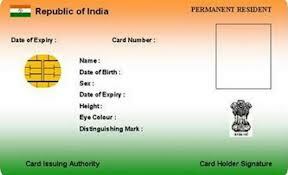 Any person who is a resident of India can enrol for Aadhaar Card. Each individual needs to enroll only once and it is free of cost. Each Aadhaar number will be unique and it will be remain valid for life. Aadhaar number will help us to provide access to services like banking, mobile phone connections and other Govt and Non-Govt services. Aadhaar will be Easily verifiable on online, cost-effective wayand help to eliminate the large number of duplicate and fake identities in government and private sectors. As we know now a days every banks and mobile operators are included Aadhar Card as valid list of Identity/Address proof of documents and also government are now providing subsidy using the AAdhar card.. So now it is important for every individual to apply for this card. Any individual can visit to any authorized Aadhaar enrollment center anywhere in India with their identity and address proof and can apply for this card. UIDAI accepts 18 documents as Proofs of Identity and 33 documents as Proof of Address right now. You can submit anyone of them for enrolment for the AAdhar card.